Highlighting what the neighbours are doing to save water can help ‘nudge’ people into actions that conserve supplies, research suggests. Targeted messaging that emphasises the water conserving activities of people in the same social group, such as university students or local residents, can encourage similar behaviour and reduce demand, a study has indicated. In the UK, water shortages are set to be one of the biggest problems caused by climate change, with the Environment Agency warning England faces a lack of clean water within 25 years without action. A series of studies by the University of East Anglia (UEA) found that appealing to people on the basis of their social ‘in-group’ were more effective than general messages about how people were saving water. The research in Norfolk, an area prone to water shortages, included a study which put stickers in students’ bathrooms at UEA that presented saving water through shorter showers as something normal among other students. The message also included a picture of a university mascot to reinforce students’ social identity. A two-week trial found the ‘in-group’ messaging focused on UEA student behaviour was more effective than stickers with a more general water saving message, with youngsters cutting their shower time by an average of a minute. Another study added messages emphasising local community behaviour to a mail-out from Anglian Water encouraging residents to sign up to a scheme fitting water efficiency devices including low-flow shower heads and tap inserts. The message said people in Norfolk cared about the environment and saving water, suggested many other residents in the community had signed up to the scheme and included an illustration of a windmill, an icon of the local area. It found sign-up rates were significantly higher among the more than 1,000 residents who got the targeted letter focusing on local community action. 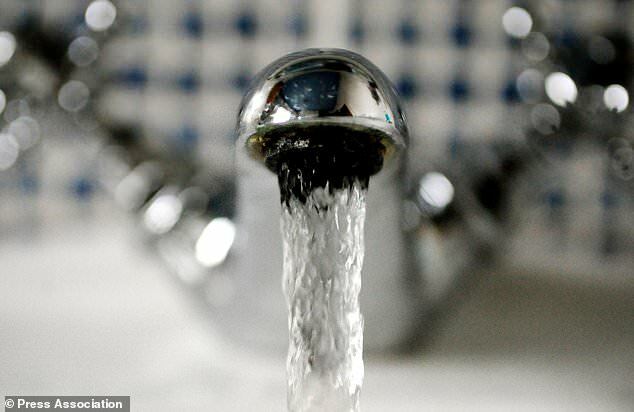 And with the scheme delivering an estimated saving of 41 litres per household per day, the increase in the number of sign-ups was projected to save more than 400,000 litres of water a year, the study found. Lead researcher Ellin Lede carried out the work as part of her PhD with the School of Environmental Sciences, and said the findings had implications for the design of environmental campaigns. ‘Traditionally, water conservation communication campaigns deliver general water saving information,’ she said. ‘However, campaigns informed by behavioural science can increase their effectiveness and should form an integral part of demand reduction strategies. Co-author Dr Rose Meleady, of UEA’s School of Psychology, said the studies demonstrated how a social identity approach could encourage a shift in intentions and behaviour to promote household water conservation. ‘Something as simple as changing the form of messaging, and in a way that doesn’t cost any more, can make messaging more effective and lead to behaviour change,’ she added. The study is published in the Journal of Environmental Psychology. Architect believes 'collective custom build' is a solution to the housing crisis?